An interactive story wrapped in the style and presentation of a SNES RPG. Play as the same technicians from To the Moon , investigating and rewriting the memories of a dying client to grant their life’s wish. The client this time is an old man who was once the boy in A Bird Story , but the content of that game is not a prerequisite to understanding this one. Neither is To the Moon or its free DLC “minisodes”, but they would help contextualize some of the side events. As before, gameplay is mostly about exploring the story rather than steering it or overcoming challenges, though there are recurring puzzle elements and a late-game action sequence. These were some of the most frustrating and out of place bits in To the Moon so it’s disappointing that this part of the formula wasn’t changed. The rest of the formula works well as before - a frame story in the real world given depth and charm by the odd-couple technicians and a core story in which you trace through your client’s history to understand them and their world and figure out how to grant their wish. 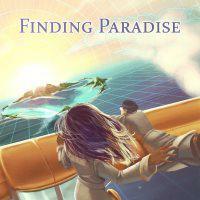 It doesn’t come together quite as well as it did last time, but that’s a really high bar to clear and Finding Paradise ’s story is still engaging and worthwhile. The pacing is a little worse than I remember it being in To the Moon , with much of the comic relief coming at the wrong time and falling flat, but I still had tears at the end and was left thinking about how the game’s lessons apply to my own life. To the Moon was undoubtedly better and is definitely worth playing first even today. But if you liked To the Moon , you’ll also like Finding Paradise .